What’s in Your Dopp Kit? In case you don’t know what a dopp kit is, it was the original name for a toiletry kit, invented in 1919. That sounds way more elegant than a product with “toilet” in its name. I love reading about things that were invented almost 100 years ago that are still in use today. Every must-have invention is not an app. A project management and/or to-do app. Slack is pretty intuitive and many businesses use it today for internal communications. I recently started using Monday.com, which is super-simple and colorful. I also keep my personal to-do lists on Listmaster. Even if you don’t have a real job, you can use the app to keep your grocery lists and things that you’ll forget to buy at Target. (We’ve all been there — at any age!) Not sure what you want to do, but you have great ideas. use MindMeister, a really cool easy-to-use cloud-based vision boarding app. It integrates with MeisterTask, so you can take your business and life ideas all the way from blue sky down to planet Earth. A socializing app. We all know that loneliness can kill. But watching your friends’ colorized and fictionalized versions of their lives — FOMO — can be super-depressing. Not all social media is Facebook and Instagram! Following my move to Arizona, I began using MeetUp to find people to hike with — lest I be attacked by a javalina. I also like GoodReads, which is like a book club without the refreshments. Whether you read on a tablet or on paper, you can share reviews and recommendations with like-minded people. If you have an artsy-craftsy or window shopping site, Pinterest can still be a lot of fun. A wearable and/or voice-activated device. I just wrote an article for Inc.com about how wearables in the workplace may keep people working longer. Writing about keeping Boomers employed always makes me smile. I just ordered an Echo Spot in place of an alarm clock. (I bought camera covers too, so “big brother” can’t watch me rolling over in bed or waking up at 3am to check messages. Which brings me to an important point. Do not fear technology. Commit to learning it…using it…and collaborating with it to save time, get smarter, remember things, stay employed, and connect with new people. Oh yes…and remember to buy toilet paper at Target. 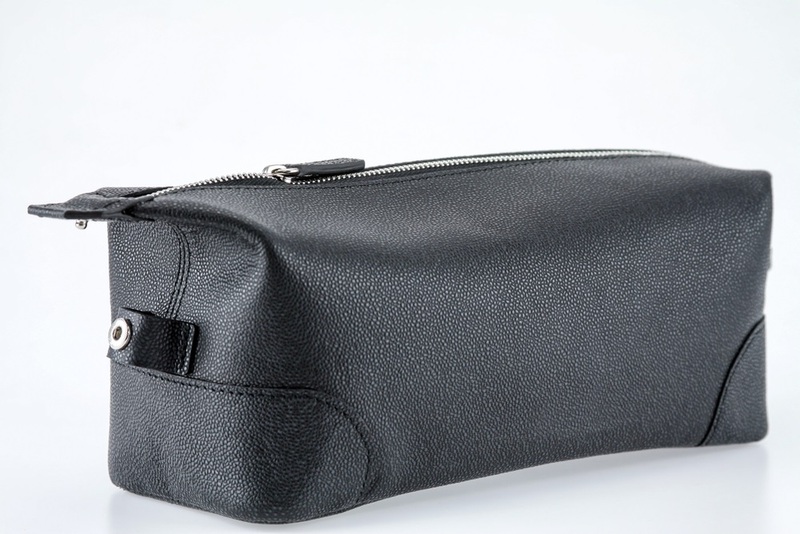 Because, after all, dopp kits are timeless.